Many thanks guys! Thanks for all the hard work. what is the damura mean btw? So this time we get a whole chapter about high schoolers playing a children's game. What about diving? What about Pikari and Dotty's friendship? What about anything this manga was supposed to be about anyway? The daruma is a traditional Japanese doll, modelled on the founder of Zen, Drama (Who, incidentally, is an Indian that went to China and meditated in a cave on the mountains to achieve enlightenment). It's also a children's game, the rules are explained in the chapter. I used to play that a lot too, lol. 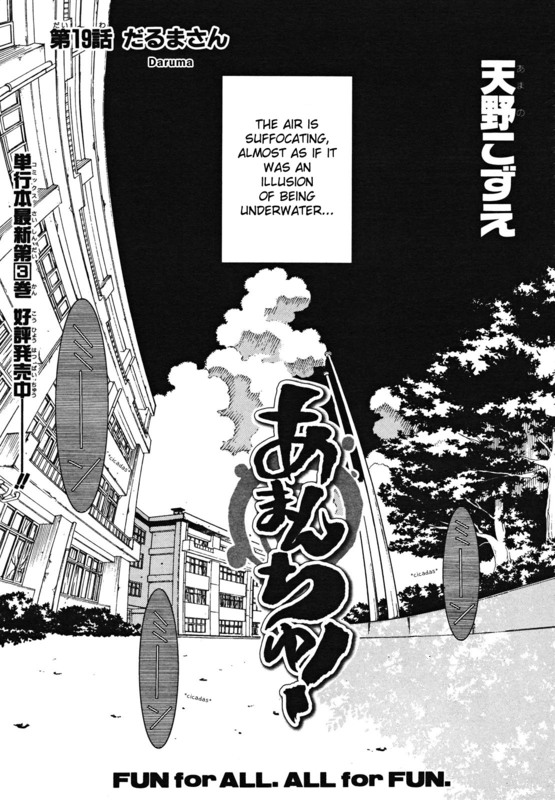 The slogan for this manga was "Nichijou, tokidoki Diving" - or, "Daily life, and sometimes diving." This chapter might not had the things you mentioned, but I thought it was fantastic to see Amano's view on the world through her characters. Plus, games are great ways to communicate and establish bonds. It was a cute episode, and maybe not big character developement and such but still definitive an Amano-style chapter. Hello! Do you know if the last big chapter in AQUA volume 2 (? ), the one which does NOT deal with the undine story, has ever been scanlated or translated officially? The original english scanlators skipped that special, because of the miscellanous characters and storyline in it. Thanks! In retrospect I think it's not so bad after all, but it still hasn't reached the level of Aria. Next time I'm in Ito I will try to find that high school building .. if it exists, that is. Thank you so much once again! I loved this chapter, as always. I find Katori-sensei's philosophy on life is very true. As well as peoples previous comments on logical consistency I actually think we do get some lovely character development in this chapter, it's just more subtle than in others. We get to learn a new skill of Dotty's, in it's own small way that achievement will probably help with her developing confidence. This is also the first time we've seen Matoko actually tease Ai back, I believe. I think that's a pretty fun & realistic development to the twins' relationship. Hey, this is pretty provocative, but I just found a possible neo-nazi link in Aqua (ARIA's prequel). In Aqua vol 1., nav. 05, page 162, Akari rows for her single promotion with Alicia onboard and they encounter a waterbus in the countyside canal. Anyhow I decided to edit it to 38 and then went with A38 when printing. There is actually a large Danube boat here in Budapest, which is named A38 and used for cultural events, like theatre and jazz music. I think, I missed something... Aqua "went to print"? In Budapest? Huh? Since when is 88 a forbidden number? Stop being silly. Also, rumor says Ms. Amano may already have her baby? Meglivorn: I am printing for myself. I was about to buy an e-book reader, but truly manga capable ones, like the iRex DR800 or DR1000 cost a fortune. However, I can print for almost free on workspace laser, just paper cost. I re-order the scanlation's cells for western reading order prior to printing, in case I ever give it to a friend, because manga-unaware people are confused by right-to-left progress. It is a tedious and slow process and so I can spot minute issues. Aa, I was getting hyped up (also shocked that I missed something) ^^°. In relation to the book's title "Birth", the cover art is maybe a bit ambigious. The subtitle of the book is supposedly "four years of collected works". I see some kind soul recently uploaded the full ARIA gondola racing game to tinyboru. Are there any plans to translate that to english, either the GUI or just the HTML-based manual? At the same place, there are whole folders of 18+ rated Aria doujin-shi. I can't graps why people keep drawing those, rather then jump in front of a speeding gondola? 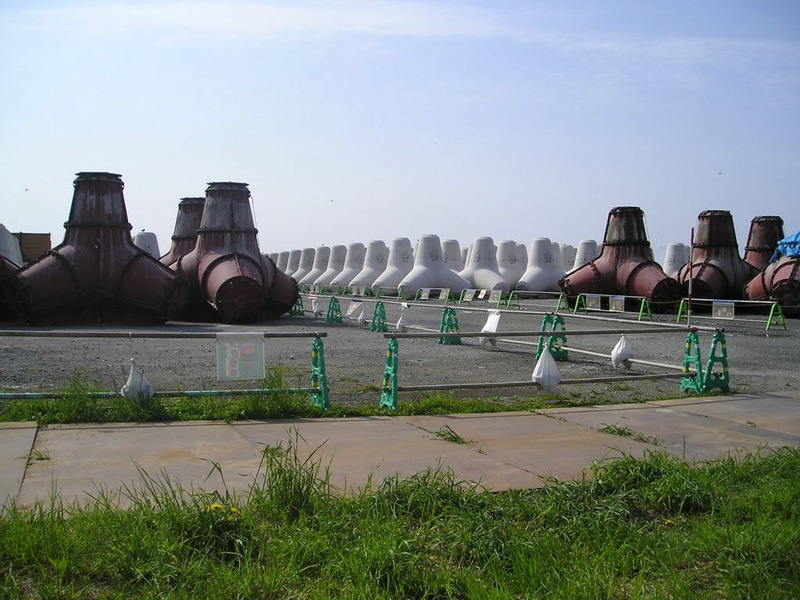 About that cover ... the figure is sitting on a shore protection blocks you see so often in Japan, especially along the coast of the Izu peninsula, where Ito is situated. Nifty. Also, I can't seem to find the gondola game on tinybooru, someone mind throwing me a link? Yes, but that makibishi (caltrop) shaped concrete module could be interpreted as a sculpture of the female torso, with abdomen and thighs, which is indicative of childbirth, as the artbook's title suggests. It was in a hidden folder, but I only have the link on my home computer (evening). The link was posted in a big ARIA forum a few days ago, but which one? Aaaah, I haven't been going on any forums lately, been studying for exams orz. It is a bootleg upload, people who can commerce in Japan are supposed to buy it, only 150 yen or so! The package has a small config program to customize the control keypresses in the game. The game may require the latest edition of DirectX9 package if running on Windows XP. I need More!!! Showing my support, Follow back. As for ARIA volume 11 navigation 53 (Caith Sith) it feels a bit like the famous Casablanca movie, where the female protagonist cannot stay with the love of her life, but they "will always have Paris". If so, Akatsuki's intensions as the "protector of Aqua" may be quite literal, considering his parallel in Casablanca (the resistance leader). What about someone writing a silly "Casaaqua" douji-shin with lines like "Everybody comes to Aria Company" or "Here's looking at you, Akari"
or "Aika-chan, I think this is the beginning of a beautiful friendship. Embarrassing remarks are prohibited!" Do you know if the complete set of italian-dubbed (Rai TV) ARIA episodes has been uploaded on the web somewhere? Some people named "Lucifer1978&Persefone" placed all of them, up to Origination ep. 08 on the Megaupload, but the Orig. 09-13 episodes are still missing from my collection and I would badly need them for some useful purpose. By the way, these files are the japanese TV HD AVIs, with italian soundtrack added to them and the container converted to MKV format. By the way, the italian dub was truly terrible in the beginning, but by the start of Origination, they had gotten quite acceptable, even if nowhere near the skill of japanese voice actors. only link which explicitly mentions changes to her name. However, she signs many of her cells in latin script simply as "K.Amano". Amano merely began writing her first name in hiragana, instead of with the original kanji. Written originally, her first name means "tree top", which may not have been to her liking. Her last name means something like "heavenly field", which is quite fitting, I think. So its just a case of different transcription for the same pronounciation? Well, that doesn't qualify as a name change. Thanks for the clarification! BTW, what about the authoress' baby? Anyone calculated an ETA? 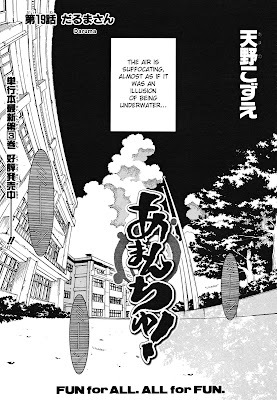 If I remember correctly the temporary hiatus of Amanchu, due to Ms. Amano "not feeling well" (sic! ), was announced in the "June" issue of Comic Blade, published on 4/30/2010. If we assume just 6 weeks before that announcement, she could be pregnant for almost 8 months by now, therefore Xmas or a little before seems more than likely for delivery? Are such events announced publicly in Japan? Large birth, but only on paper so far! I think the small script text insert tells some details of the content? If anyone knows the best (cheapest) place for pre-orders, let me know! I remember I waited too long to pre-order Avvenire and had to settle for some expensive shipping costs. It appears that some ruin scenes in ARIA may have been inspired by the "ghost island" Hashima (Gunkanjima) near Nagasaki. 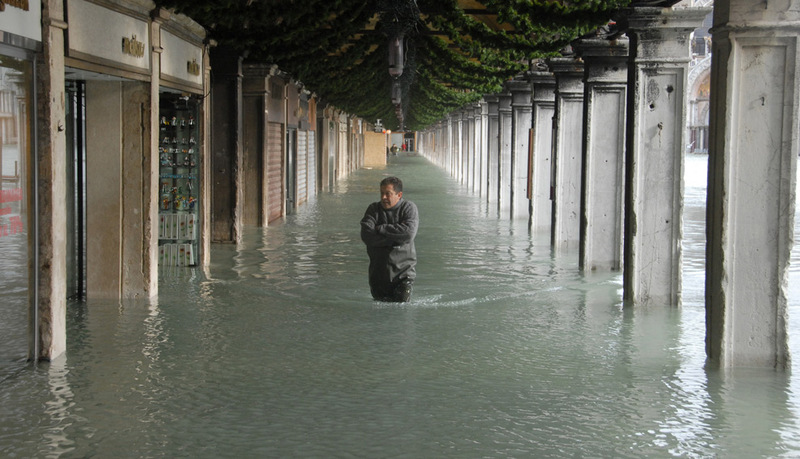 It is an extremely small island with densely packed tall buildings that has degraded after being abandoned in the 1970s. Something like this. Akari, but a little different. Do you recognize the same scene from the Alpha artbook? 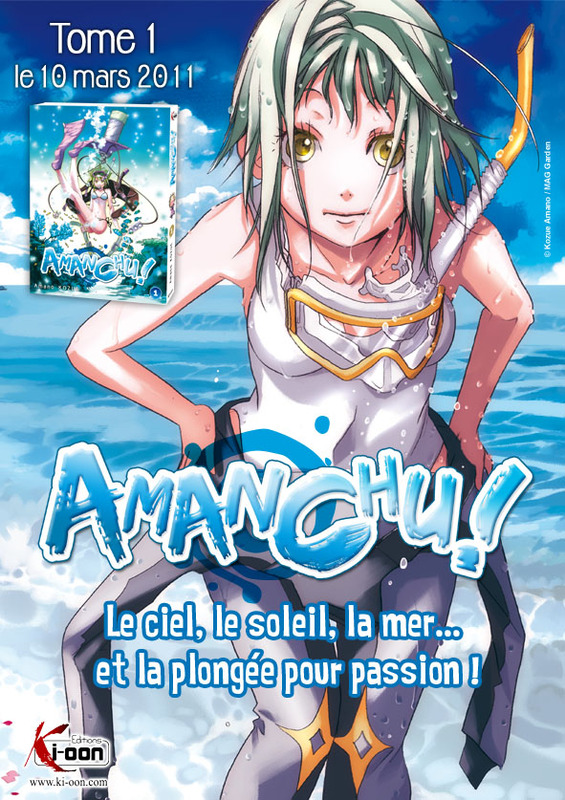 The french Ki-oon will publish Amanchu from March 2011. I'm suprised about that, considering the quarterly publication schedule of the japanese original. On the other hand I've just realized that the author of Hagaren (FMA) is a woman. That's a big shock for me, considering how horrible, repulsive and evil is the fictional world of FMA, something only a man's mind should produce. That makes me value ARIA even more. Results and photos of the Amanchu promotional gondola display decoration contest. I'm not sure if this s the correct place to post tis but I'd just like to say thank you SO MUCH for your Aria manga scans and translations! I so much appreciate it and thank you from the bottom of my heart for taking so much time and effort into making it available :) You are absolutely wonderful! The concrete barrier depicted on the BIRTH artbook's cover page, in real life and how its made. does amanchu 20 raws released? Those can't be the original scans, unless Amano has suddenly decided to start writing in Chinese. Well now that I've checked, raws were actually out on share earlier this month - thought the chapter was due January. Be good if people can remind me in the future with these spaced releases. the raws released on the share? where can i get those raws?? Hello, have you seen anything ARIA or Amanchu related at the recent Comiket 79 event? New scale figures, doujin, cosplay, etc.? Thanks! Looks like an old Dragon Quest doujin booklet, created by Kozue Amano, according to its title page. The graphic style is reminiscent of her early Roman Club works, maybe?